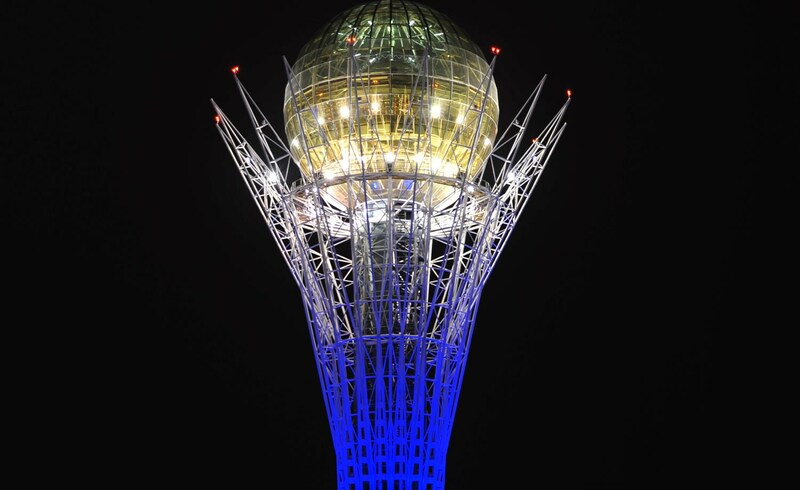 Astana, Kazakhstan – Royal Philips, the global leader in lighting, has launched three of Kazakhstan’s most famous architectural landmarks into the global limelight, using connected LED lighting to illuminate the city’s iconic Baiterek Monument and its famous Tulpar and Maral bridges. 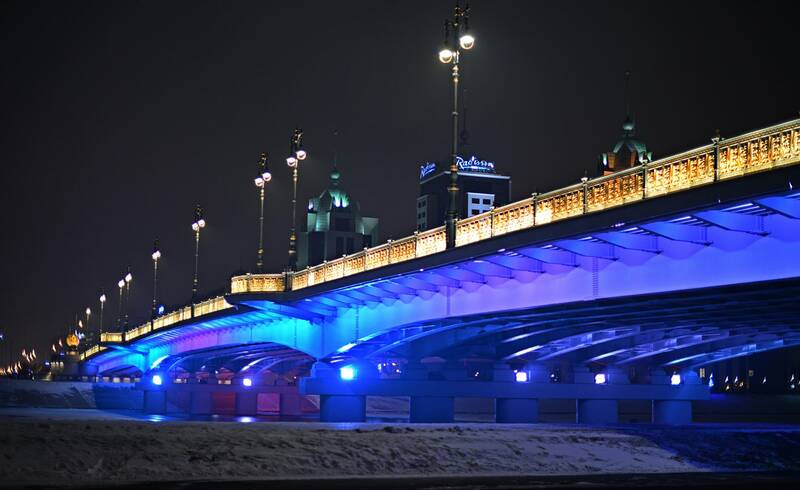 Connected LED lighting from Philips Color Kinetics perfectly shows off the architectural details of these major sights in the Kazakh capital while slashing energy consumption by 85% compared to the previous lighting system. Philips was chosen by the city to illuminate its most famous monuments with cutting-edge connected lighting technology as the city prepares to host the EXPO 2017 International Exhibition which has as its main theme “Future Energy”. ‘’The Baiterek Monument and both bridges are a powerful demonstration of Philips’ connected LED lighting in action. On the eve of the EXPO 2017, these symbols of Astana will sparkle with new and colorful light, an embodiment of the energy-efficient technologies of the future.’’ said Peter Vullinghs, Senior Vice-President and Market Leader for Philips Russia CIS and Central Asia. In the new lighting installations, the LEDs are linked up to a wireless control system, enabling their color and brightness to be customized from a central monitor. The controls also permit a range of different effects such as ripples, cross-fades, sparkles, strobes and bursts. 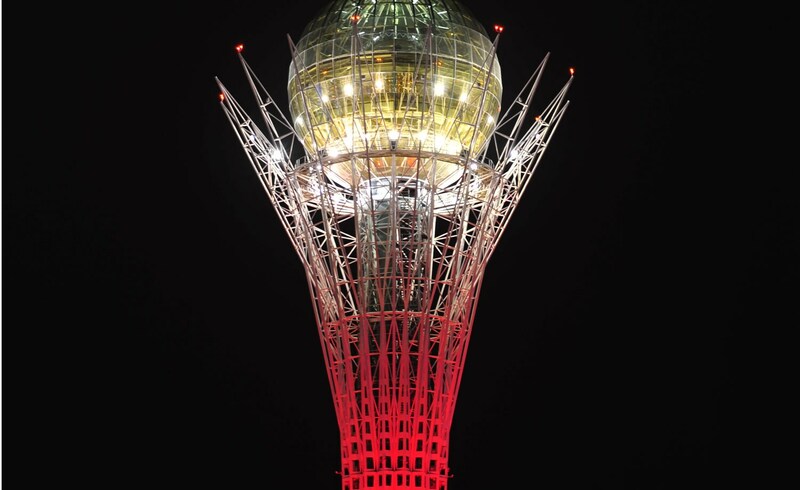 The Baiterek Monument – seen as a symbol of Kazakhstan’s past, present and future – features a light show from dusk until dawn on its 105m tall column and glowing orb which represent the tree of life holding a giant golden egg. It is a unique architectural structure weighing more than 1,000 tons and is visited by hundreds of thousands of tourists annually. In Kazakh folklore, the bird laid its egg between the branches of a poplar tree to protect it from a dragon. The myth encapsulates the battle between good and evil. 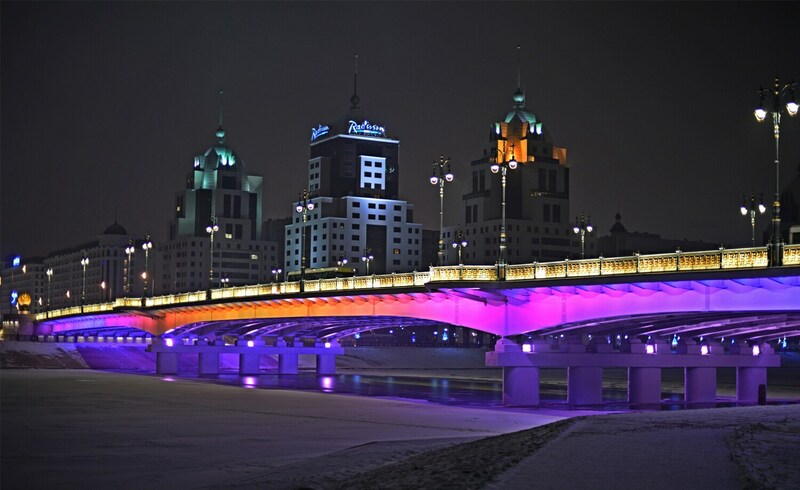 Likewise, the city’s famous Tulpar and Maral bridges that straddle the Ishim River flowing through the capital have been set aglow by new lighting systems. The newly installed LEDs are not only more energy efficient, but they also boast a longer life, while all components of the system are built to withstand the harsh weather conditions which grip Astana, where the mercury plunges to an average low of -17C in winter and rises to 27C at the height of summer. Astana’s landmarks join a host of other famous monuments across the globe to adopt the Philips system, including New York’s Empire State Building, the London Eye, the State Hermitage Museum in St. Petersburg and the Gateway of India in Mumbai.